My love of photography began at a young age. I picked up my first camera in my early teens when I learned that my grandfather “Pop Pop” had a love for photography. At first I was just taking a few pictures here and there, however in 1979 I had the opportunity to attend school in Littleton, NH. It was while I was attending the White Mountain School that i really fell in love with photography and became convinced that I wanted to study it. In 1980 I had the opportunity to attend the Colorado Rocky Mountain School C.R.M.S. located in beautiful Carbondale, CO. It was at C.R.M.S. where I became infatuated with photography and where you would never see me without my camera. 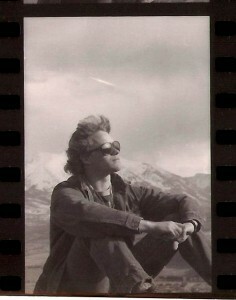 I was mostly shooting black and white in those days along with a good dose of Kodachrome 64. I found out in my Sr. year at C.R.M.S. that my grandfather had an old Crown Graphic 4×5 which he wanted me to have. There was something very special about wandering the mountains and valleys of western Colorado photographing the landscape with a camera that once belonged to my grandfather. 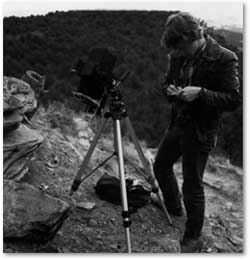 It was during this time and the next 2 years while attending the photography program at Colorado Mountain College in Glenwood Springs, CO that I fell in love with what large format black and white photography had to offer.